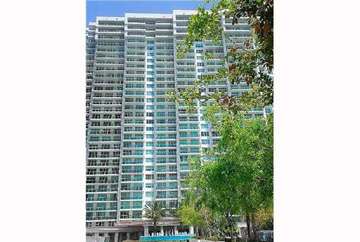 Right in the middle of Aventura, Florida, Peninsula I, an impressive 30-story condominium tower of whitewash and glass can be found. 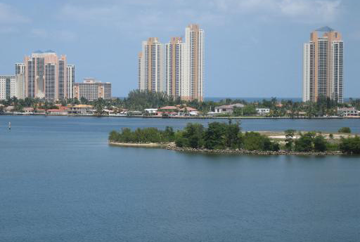 Residents enjoy the Little Maule Lake on the south while the waters of North Miami Beach to the west. Looking north, the inlets of Dumbfoundling Bay can be seen and Atlantic Ocean to the east. 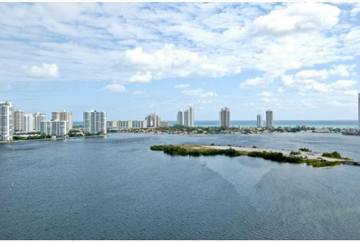 The tower’s primary location near the entrance to Williams Island guarantees a fabulous water view only residents of Peninsula I can enjoy! 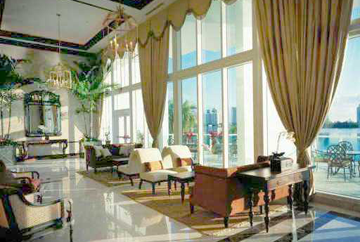 Valuing the majestic scenery, each condo is glass abounded from a glass paneled railing on the open-air terraces and floor to ceiling glass doors letting you enjoy the unobstructed views. Peeking inside you will be amused at the smooth coated 9-foot ceilings, separate media rooms, and 2-zone controlled, high-efficiency heating and air systems. And for those techno-savvy residents, each unit is prewired for satellite and high- speed Internet service. Regardless of what type of career you have, Peninsula I caters to your needs. A full-service business center, including conference room and boardroom are ready to use for your upcoming business affairs. A multi- function room with catering and pantry facilities is reserved for social or professional events when you need it. Excess belongings are no problem also because they have 24-hour air-conditioned storage units. For those who are health conscious, enjoy the state-of-the-art fitness center and spa, lighted tennis courts and fitness trails you have just around the corner. Other amenities that will help you relax are a tropical pool, hot tub, kiddy pool, barbeque, billiard room, card room and a dogwalk for those with pets. A café and greenhouse are also a few steps away, available for your convenience and enjoyment. Leave your car to a multi-level covered parking garage as you arrive home and never worry about it because Peninsula offers the most secure place where you can park your car. Equipped with the latest technology no one can steal your car without being caught. The building has a monitoring system with round the clock on call alarm. Do not deprive yourself of the greatness Peninsula I can provide you! Grab the opportunity so you can live your dreams!